However, what about if there has been no wrongdoing by your partner and you just simply want a divorce? Unfortunately in the UK this cannot be done, the law requires a reason to end the marriage. However, many other countries have made no fault divorces legal! These countries include: Australia, Canada, China, Russia, Spain, Sweden and the United States. New York was the last state in America to legalise no fault divorces, this happened in 2010. Although no fault divorces would save a lot of people from unhappy marriages, this is something the UK are not planning on changing just yet. If you have decided to divorce and are looking for advice on how to proceed, call 01246 555 610 for a free initial consultation with one of our experienced solicitors. Arming yourself with accurate legal information from the outset can be vital in the resolution of your matter and can make the process less stressful. If you are considering a divorce and just wish to talk through the options then call 01246 555 610 to arrange a free, no obligation consultation with one of our experienced solicitors. Although you may not want to start thinking of divorce before you even get married – getting a prenuptial agreement may save you a lot of time and effort in the future, which could be upsetting and painful, if the marriage happens to fail. A prenuptial agreement, is a contract made before the marriage that outlines the terms for separation. It is very important to protect yourself, just in case, worst comes to worst, and you find yourself or your partner filing for divorce. You can list nearly anything you want. For example, stating that you will try mediation if you decide to divorce. Even a settlement about pets can be included. But there are also limits and legally you cannot demand things like child support or predetermine child custody arrangements. Arming yourself with accurate legal information from the outset can be vital in the resolution of your matter and can make the process less stressful. If you are considering a prenuptial agreement or your partner has requested it, call 01246 555 610 to arrange a free, no obligation consultation with one of our experienced solicitors. I want to cohabit with a new partner – how will this affect my spousal maintenance? As part of financial settlements following divorce, it is possible for one spouse to pay the other spousal maintenance. This is common where there is a large disparity between the spouses’ salaries or in cases where one spouse works and the other does not. Spousal maintenance can either be payable for a specified period of time, until an application is made to change the payments or until the payee dies or remarries. It is possible that the payer will want to apply to the court to reduce maintenance payments once they are aware of the cohabitation. Recent case law has shown that cohabiting relationships will be taken into account by the Court when variation is applied for and they will only take into account what the cohabitee should be paying regardless of whether they are actually contributing anything or not. Therefore, the payee should be prepared to potentially have their maintenance payments reduced if they decide to cohabit with a new partner. If you would like to discuss any aspect of divorce or financial settlement with an experienced solicitor, don’t hesitate to book a free, initial consultation today on 01246 555 610. According to the most recent figures from the National Office of Statistics, divorce rates have dropped to the lowest they have been for 40 years, however, Britain still has the highest divorce rate compared to other European countries. The survey showed that 44% of women had initiated divorce proceedings due to their partner having an inappropriate relationship with someone else causing the marriage to break down. 42% of men, however, could not definitively explain the cause of their divorce and just felt that they had grown apart from their spouse. The survey also covered the aspects of the process that the individuals found most stressful. The results showed that 20% thought the length of the process was the most difficult, 17% thought the confrontational nature of proceedings was the hardest and 16% found family members’ reactions to be most challenging. Arming yourself with accurate legal information from the outset can be vital in the resolution of your matter and can make the process less stressful. If you are considering divorce or your spouse has started divorce proceedings, call 01246 555 610 to arrange a free, no obligation consultation with one of our experienced solicitors. Parenting styles can differ greatly after divorce. Some couples find it difficult to communicate or spend time together post-divorce and limit this to a minimum in order to avoid confrontation and arguments. On the other hand, some individuals take a more liberal approach and continue to participate in family holidays and activities together. While every couple will choose what is best for their situation, they will all agree that the most important thing is their children’s welfare. Divorce can be a stressful process and can be physically and mentally draining. In order to care for your family, you must first be in a position to do so. Looking after your health and mental wellbeing is crucial in enabling you to do this. Taking time out to relax and ensuring you maintain a proper diet and get enough sleep is important. As difficult as it may be, speaking badly of your ex-partner will leave children feeling confused about their feelings and opinions and can often make them feel alienated. Keeping talk about your ex to a minimum or cutting it out altogether may be a sensible option until raw emotions have gone and you feel you are ready to speak less negatively about them. Parents who disagree and argue about parenting issues can make children feel unsafe and insecure. Divorce creates disruptions in their lives, so trying to maintain as much stability as possible is key. It is natural for divorcing parents to want to indulge their children to try to make up for the distress they feel they are causing them, but what they really need are parents who are making sensible, joint decisions based on what is best for them. It is important to be honest with your children and not be tempted to sugar-coat everything to try to shelter them from reality. It’s alright to show them how you feel as that will allow them to be honest and show you how they feel too. With so many changes happening, it’s easy to put all your energy into simply getting through the divorce. Your children may seem to handle it all well but it is important to keep an eye out for any indicators that they aren’t doing as well as they seem. Loss of appetite, lack of interest, more tantrums etc. are all signals that something might be troubling them. If you are dealing with divorce, please call 01246 555 610 to arrange a free, no obligation consultation with one of our experienced solicitors. Arming yourself with accurate legal information from the outset can be vital in the resolution of your matter. 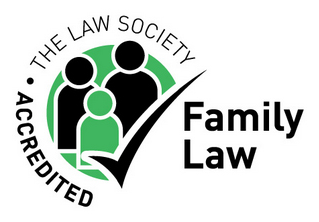 Divorce or separation is a huge change for couples and children. The impact of this can greatly affect the family in all areas of life, at work, home or at school. The early stages of divorce or separation are when emotions and stress levels are often at their highest and employers can often detect at this point that something isn’t right at home. Individuals can become overwhelmed by the upheaval of such a change whilst at the same time having to make important decisions; this in turn can make maintaining productivity and professional standards at work more challenging. On the other hand, for many people, work can be a pleasant distraction from what is happening at home and can provide future financial security. If you or members of your staff are dealing with separation or divorce, please call 01246 555 610 to arrange a free, no obligation consultation with one of our experienced solicitors. Arming yourself with accurate legal information from the outset can be vital in the resolution of your matter. One of the most difficult issues to resolve after separation can be who gets custody of pets, especially cats, dogs and horses. According to research undertaken by The Dogs Trust, 25% of couples separating said their pet would be the most important thing for them in their settlement. The law, however, sees pets in a very different way to their owners and classifies them as objects or personal property. If you cannot come to an agreement between yourselves and you are getting a divorce, the Court may decide who the pet will live with and may take into consideration who spent more time caring for the pet. However, if you are unmarried, there is no such provision and the only thing that will be taken into consideration is who legally owns the pet. If you do not wish to get married but would like to protect your assets in the eventuality of a separation, a Cohabitation Agreement can be drawn up and who gets custody of pets can be included as part of this. To discuss separation or divorce matters, please call 01246 555 610 for a free initial consultation with one of our experienced solicitors.